08.06.12 Vancouver, Washington, August 5: We started Sunday with an open morning, with the first round of the day not until Noon. That gave us a little time to explore Vancouver, which was eye opening. A walk down Main Street revealed a city that has clearly seen better days. Most of the stores are empty, and those that aren't mostly house pawn shops and second hand stores. There is clearly an effort to revive this city of 150,000, and the Hilton and Convention Center where this week's tournaments are being held is part of that effort. The Hilton is very nice, and the playing halls are first class. However, Vancouver overall is a world away from Portland, just 10 miles to our south. 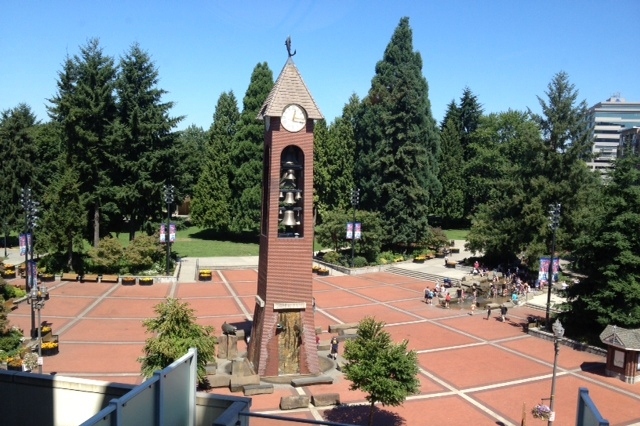 Esther Short Park in Vancouver, across the street from the Hilton, site of the Barber and Denker tournaments. The highlight of our morning though was provided by Mark Parker, who made an early morning secret journey to Portland to pick up a box of Voodoo Donuts. Voodoo Donuts is one of Portland's great culinary delights, and the lines at this nationally known institution are usually a block long. The giant Trix Cereal covered donut was our favorite. Round 2 started promptly at Noon. In the Denker, Brett Parker faced Scott Treiman (2034) of Utah. Brett played a strong game, but the Expert from the Diamond State prevailed. In the Barber, Matthew Fishbein faced Steve Chen (1657) of Alabama. They engaged in a nearly three hour battle, with Fishbein the victor. In Round 3, played at the same time as the evening round of the 9 day US Open schedule, Brett Parker was paired in the Denker against Peter Fuchs (1312), the Louisiana champion. Brett earned a convincing victory to notch his first win. In Round 3 of the Barber, Matthew won fairly quickly over Hawaii's Ford Nakagawa (1799.) No two players in this tournament could be from places farther apart. Matthew is now 2-1, and has moved right back into the thick of things. 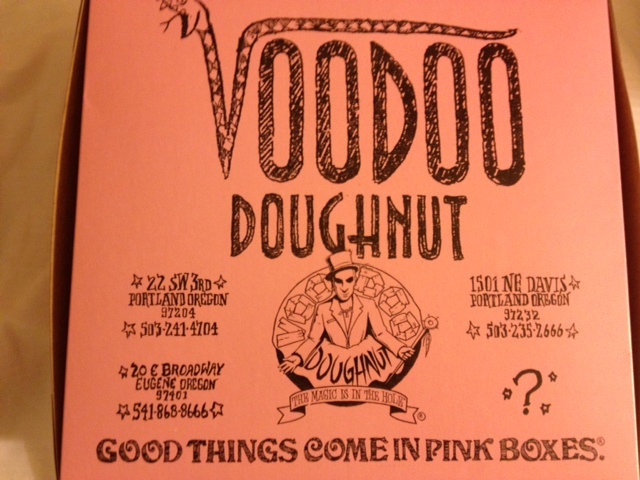 A great day in Portland, Oregon area starts with...Voodoo Donuts! 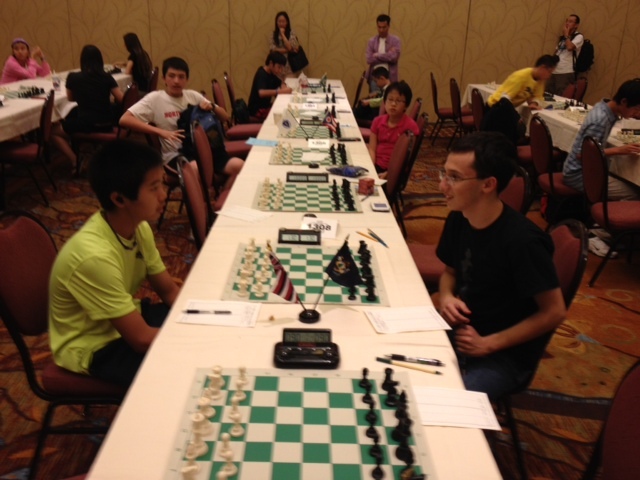 Matthew Fishbein (right) and Alabama champion Steve Chen prepare for Round 2. Hawaii champ Ford Nakagawa and Matthew Fishbein chat before Round 3. Much of the Barber field before Rd 3. Darwin Yang USCF 2594 (right) shakes hands with Kevin Cao to begin in Round 3 of the Denker Tournament of High School Champions.